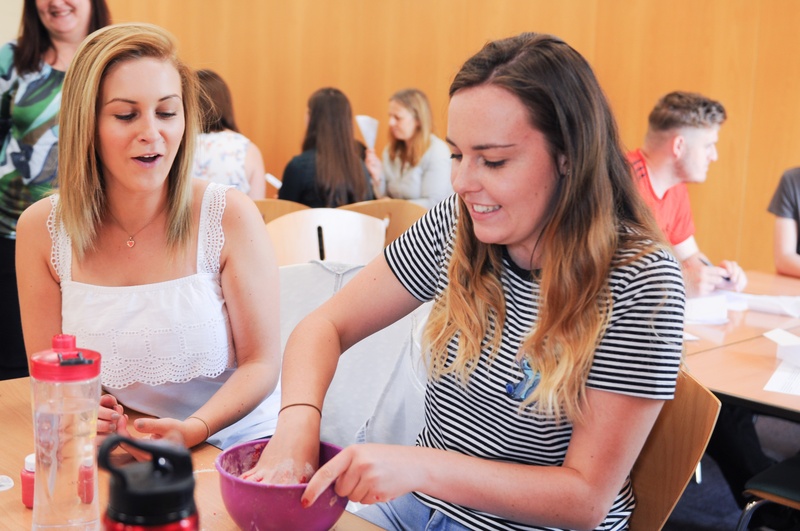 Over 70 aspiring educators from across the country came to Bishop Grosseteste University (BGU) earlier this month for a taste of life as a teacher. Run by the Primary Team (part of the School of Teacher Development at the BGU); the Pre-Teaching course focused on providing attendees with opportunities to gain hands on experience as well as advice from existing professionals. Each morning session was filled with practical activities allowing participants to test out their skills. Having prepared an exercise (including sourcing necessary and appropriate materials) they had to teach a small group of fellow attendees with exercises on offer including play dough making, Second World War history and ocean exploration. The afternoon sessions were focused on guiding the attendees through the application and training process. “The Pre-Teaching course is an opportunity for aspiring teachers to get a flavour of teaching with sessions designed to cover all aspects of life in education, not just what it feels like to run a lesson but also what a collaborative profession teaching is. Through this we can ensure that even when they hit difficulties they will know they’re not on their own”. “I was quite nervous going into the course, becoming a teacher is a big task, but I feel so much more prepared now. It’s been amazing to get a taste of what is to come”. You can find out more about our PGCE programmes, including further Pre-Teaching courses on our website or by contacting our Enquiries Team.